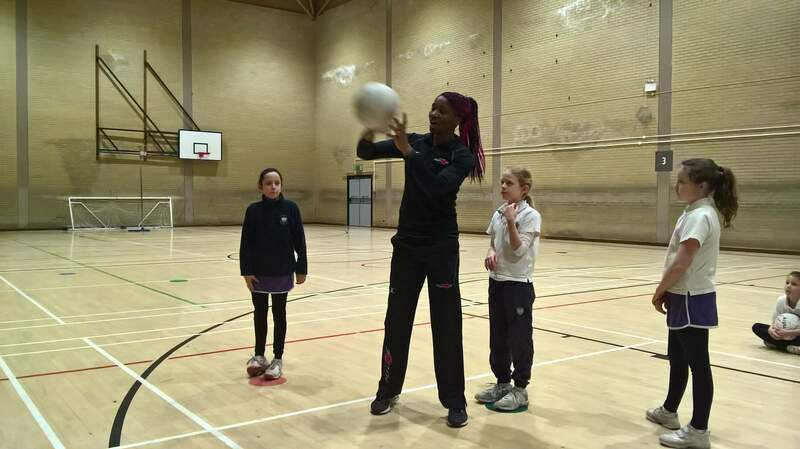 On Saturday 2nd February, Y5 and Y6 netball squad and club were extremely lucky and honoured to have a 3-hour training session with Ama Agbeze, the England Netball captain. We were all so enthusiastic to try the drills and tactics she was showing us. We started with a question and answer session, followed by some defending and attacking drills. Her drills were incredible, and we can’t wait to implement them into our lessons and use them in fixtures against our oppositions. It was so helpful to train with her and we all had a fantastic and enjoyable morning. It was clear to see why Ama Agbeze is the captain of the England netball team.